The Future of Panama Ultimate. It’s January 15, a wonderful day in Panama City. The “Liga de Verano de ultimate” clinic starts today. As the sun sets, people arrive at the Mother Field in Ciudad del Saber, where the pre-league clinics take place every year. With new players in numbers and a significant increase of women signing up compared to previous years, the Liga de Verano might be more relevant than ever towards achieving massive growth and presence for the sport. 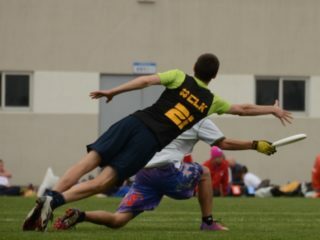 With the stakes high, it is great that this year’s clinics are led by American Ultimate Academy (AUA). Rowan McDonnell and his team, including our own Felipe “Pipe” Ledezma have been on top of everything early on so the clinics kick off in full gear. There is as much enthusiasm as new faces in the crowd. Great, positive energy all around. In addition to Rowan and Felipe, Jesse Shofner, Tyler Monroe and Keila Strick share their knowledge and love for the game with great drills, clear explanations, making everyone grind it out everyday. A healthy mix of intensity, competition and camaraderie all around. Everyone is giving 100% and then some. What a way to set the tone for the year with solid standards and training ethics for all players, AUA! 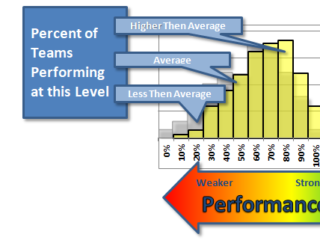 Building commitment with advanced players through lessons learned. As the clinics take place, I’m taking notes to prepare the Rules and Spirit of the Game (SOTG) sessions, integrated within the weekday schedule of the clinics for the first time. Even though we’ve been successfully working with clubs and organizers on rules and SOTG through the past 3 years, when we’ve tried weekend workshops on a classroom setting, very few folks show. So with the opportunity to explain rules and SOTG in the field, to players of all levels and backgrounds, we are definitely up for experimenting with some “twists” and “turns”. When talking about ultimate in Latin America today it is Colombia, with their charm and top form in all divisions, who dominates both the social media buzz and the level of play in the region. Of course, one might also think about the sport’s presence in Argentina, Brasil, Mexico and Venezuela. But Panama? With records of the game going back to the 1970s when mostly gringos and zonians (folks born in the Canal Zone) met for occasional pickups, it is odd that it was in 2003 when Panamanian ultimate found its home in Ciudad del Saber in Clayton, slowly evolving into an organized and much more competitive community fifteen years later. And it is only in the most recent years that Panamanian ultimate has experienced significant growth. In addition to leagues and club tournaments run by AUFP (our WFDF-affiliated org), Fundación Panama Ultimate is leading work with high schools and youth divisions, Barrios Panama delivers social programs through ultimate and Movimiento Pro Ultimate Femenino leads development and growth of Women’s ultimate. While national teams and clubs regularly participate in tournaments overseas, the country is also now host to an international ultimate tournament, Torneo del Istmo, on the fall of every year and beach ultimate is going regional this March with the Torneo Panamericano de Ultimate in Punta Chame. El ultimate canalero is moving forward, fast. Last year gave us reasons to celebrate as well with the youth high school team winning tournaments in the region including the EAFIT Torneo de Oro in Colombia. Club Caribes wrapped up their 2017 season taking the Open Division in Bogota’s Disco Volador 2600, “el DV”, earning a bid within the elite teams this year. It seems that the time is now to build on this momentum and make ultimate development sustainable. Meet Jéssica Martínez, a certified yoga and supyoga trainer who continually develops her practice around authenticity, kindness and fun. She is my “co-conspirator” in bringing Yoga and ultimate together, mashing up the basic concepts and values of our sport with the emotional aspects and mental awareness, the mindfulness and values integral to Yoga. In the days before the first session, we meet to brainstorm and watch some Friday night pick up, then we craft our plan and are ready to go. Spirit of the Game is such an essential to the game of ultimate and I’m hoping these sessions will make a difference in play through the league and the rest of the year. Jéssica Martínez leading the yoga sessions and emotional learning. It is time for the first session and Jéssica gets the group in “spirit” leading with a yoga primer. We split into groups and start some games with Andrea, an AcroYoga expert and part of our team. Through the first game, we learn in a fun way about physical space and about respecting that space. With Acro in the mix, we practice exercises focused on balance and trust. Stay balanced through the game. Trust yourself, trust your teammates, trust your opponent. In the second exercise, we practice non-verbal communication and staying focused in the moment. On the third exercise (my favorite!) we find each other running and jumping around like crazy kids to end up calm and thinking about respect, fairness and treating each other with kindness and empathy. Wasdi Grimaldo (Comunidad El Oso, Llamas ultimate) shared his thoughts on this last game: “…seeing ourselves reflected in each and every other player in the field… in terms of what Spirit of the Game means… when you are in the heat of the game… that’s deep”. We close out the games in a Spirit Circle, doing yoga together. We split into workgroups again. The advanced players, led by women team Fieras’ volunteers, get together to work on commitments to improve their SOTG, mindset and behaviors as leaders within the community. The rest of the players come with me to get a walkthrough of basic concepts such as space, physical contact and possession. Then we cover marking, receiving, travels, fouls and picks. After an active Q&A, session 1 of Rules and SOTG done! A few days later, the second session comes along in similar fashion. We use yoga and games to reinforce the importance of space, communication, trust and respect. Then we get everyone on one sideline and act out demos of dangerous plays, explaining how they happen, how to avoid them and how to work in practices to prevent them. We wrap the session with a massive and lengthy Q&A about rules, featuring Rafael, 10, who explains the group what a travel is and its different scenarios. Boom. After a few more questions and a Panamá ultimate! cheer, our experiment is complete and we feel optimistic these kinds of interventions will lead to improvements in both SOTG and quality of play. Two weeks of clinics come to an end and with player registration completed, the league draft takes place. Players and organizers take over a local pub to watch the whole thing live, friendly banter included. With more than 200 people signing up for the clinics and the league, there will be 12 teams, half of them with first-time captains. Great opportunity to develop leaders and to build up on what we’ve learned through the clinics. It’s now Saturday afternoon, league starts today. I’m ready to go with the (yoga) flow. Game time. My captain Pati, one of four female captains in the league, is doing great giving rookies easy pointers and meaningful playing time. She is playing hard too. We all are. In for the fun and for the win. Late in the game, Lala, 13, is in. This is her first game ever. She gets her first catch in a crowded zone defense and dumps it successfully. In her next touch, she looks less rushed and flicks a short pass ahead. A few passes later we score and Lala gets a load of high fives and cheers. With the games over, I head to the sideline to do easy, post game yoga with some teammates. A new player from another team joins in and she says: “what we did in the clinics and what (all of you) said about yoga and how it helps us, BE CALM, focus… it helps me with my dancing and it really really helps here in the games as well”. I know the season is just getting started and while we have a lot of work ahead to continue developing our own brand of ultimate, for now with a smile on my face and my heart filled with gratitude, all I can say is… Namaste.